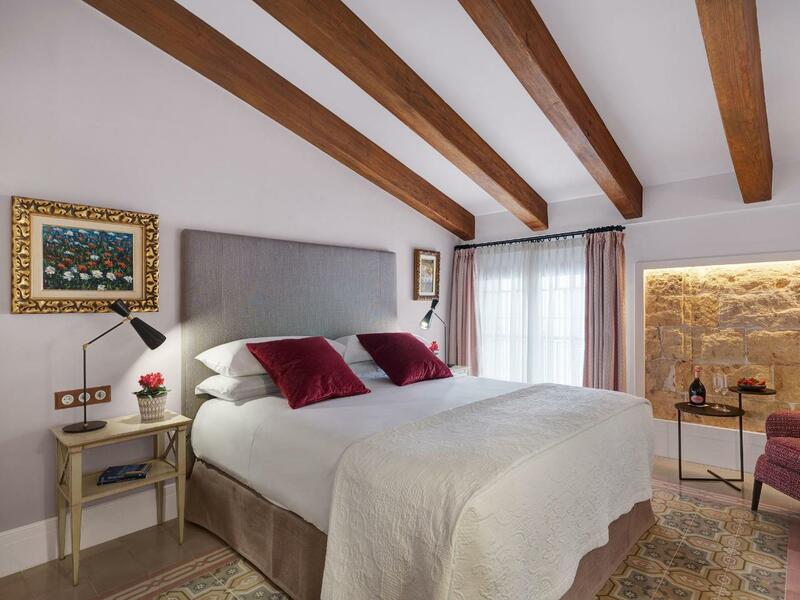 Located in the heart of Palma’s historic quarter, the new five star luxury Hotel Glória de Sant Jaume truly lives up to its name. It is quite simply a glorious addition to the city’s best hotels. 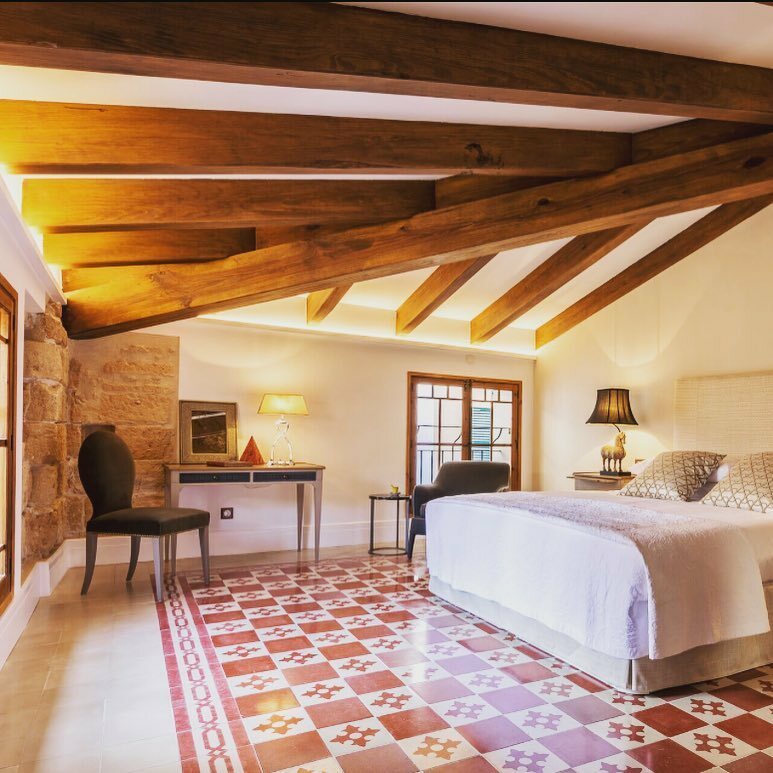 After searching for over a decade for their first five star project ,husband and wife team Mr and Mrs Cabau of the Cabau Hotel group finally found this magnificent 15th century mansion. 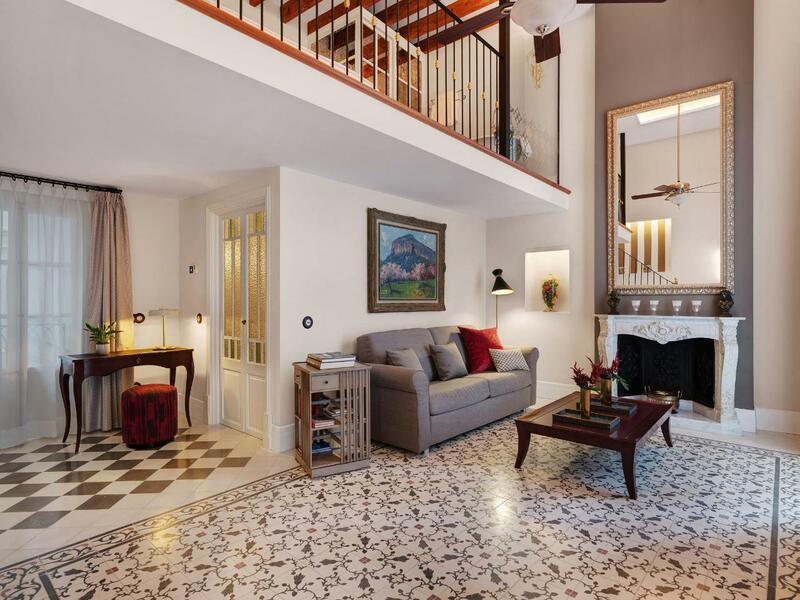 Now exquisitely refurbished, this dazzling new hotel is just moments from the elegant shopping area of Avenue Sant Jaume and La Rambla. The hotel entrance is a marvel in itself, being the only remaining building in the city with four stone arches. Reminiscent of a far flung colonial club with sumptuous dark woods and furnishings, tiled floors and of course a welcoming smile from the reception staff. This hotel really stands out. Head towards the lift and you will find yourself in a light filled stairwell complete with the original water well. The finish in every nook and cranny of this hotel is first class. The lifts and corridors are security protected and the heavy bedroom doors clunk closed firmly and quietly. 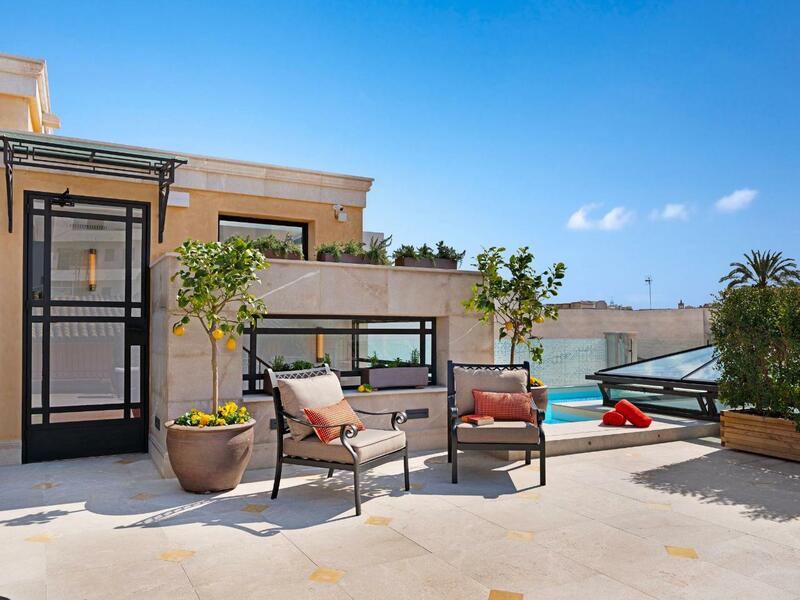 There are 14 bedrooms set over three floors, three of which have outside space. 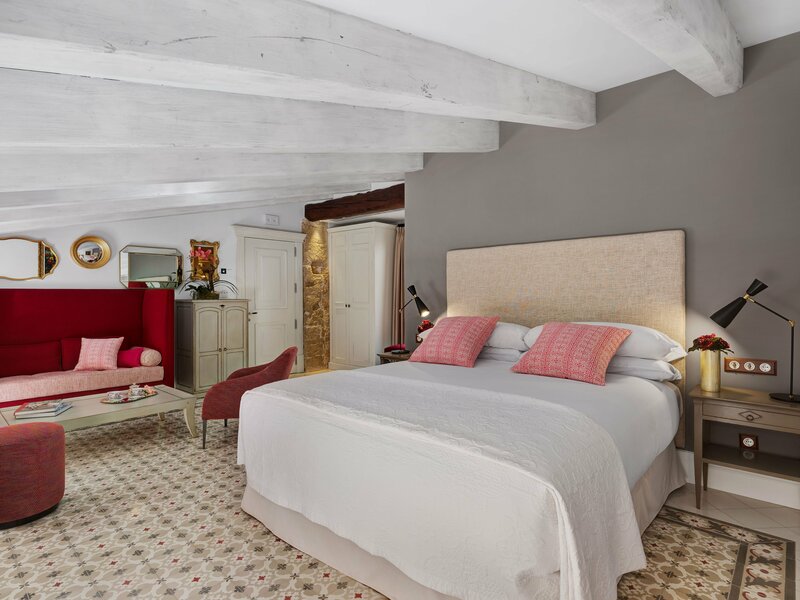 All rooms are spacious and beautifully designed, some with original wood beams, some with original tiled floors and each with luxurious king-sized beds. Each room comes with antique mirrors that, with the flick of a finger, become televisions. 15th Century meets 21 Century ! Bathrooms are an extravagance of marble and stunning tile flooring which is the hallmark throughout the building. 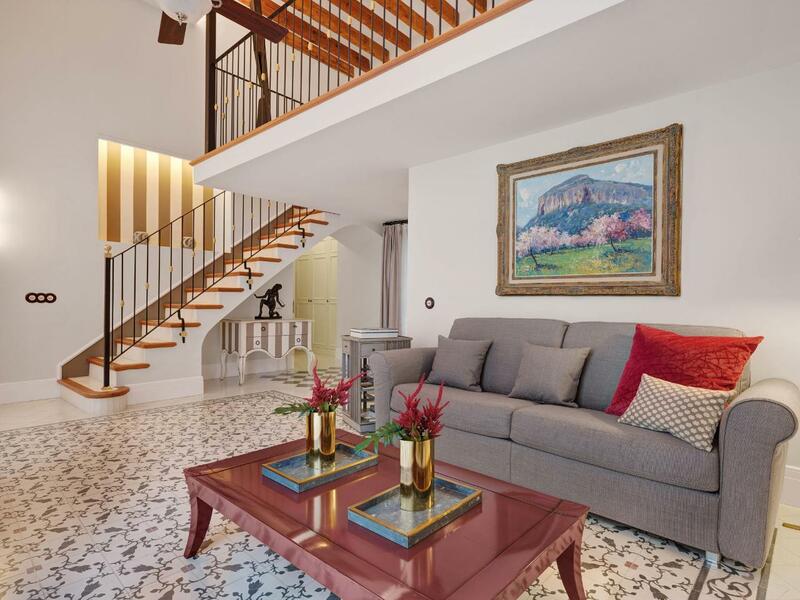 As a low season luxury traveler, why not treat yourself to the loft suite ( pictured ) for a true indulgence. The hotel has a magnificent and blissfully quiet roof terrace complete with plunge pool that allows panoramic views over the old town and Palma cathedral with the added benefit that you may order drinks and snacks while relaxing on your sun lounger. A small central courtyard, with a glass covered view of the indoor spa pool below, divides the magnificent private dining room on one side from the `Patio Restaurant´on the other. 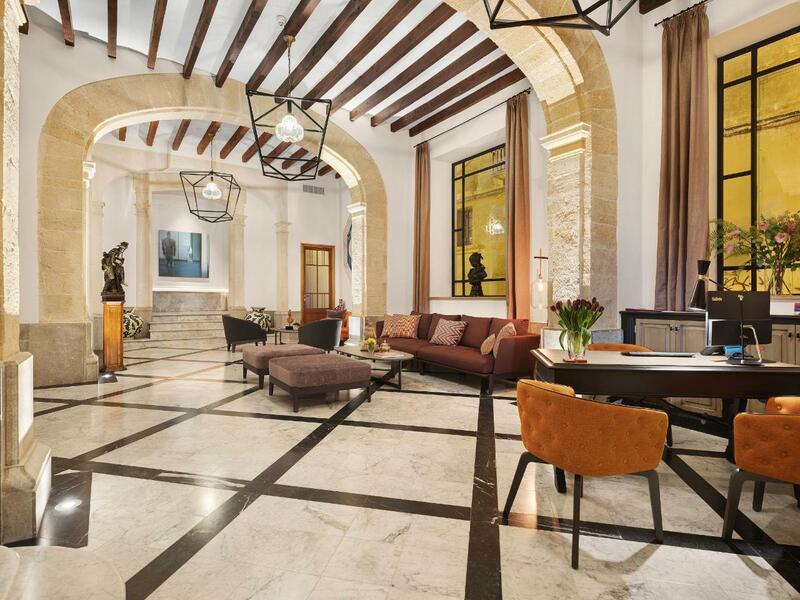 Hotel Glória is one hotel not to miss in Palma. 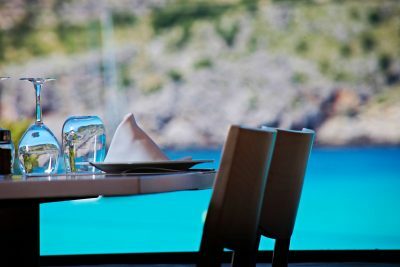 For a more in depth review on Hotel Glória check out the recent stay by our friends at Mallorcareflections. To find out more about what so see and do in Palma click here for Visit Palma website. 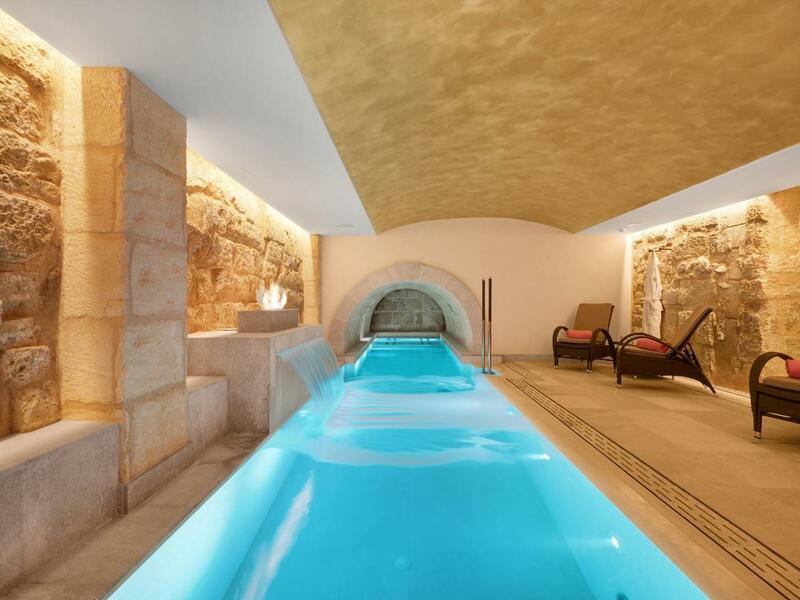 Imaginatively built in the vaulted ‘cave’ in the lower ground floor to create a unique relaxing environment beneath the footsteps of Palma’s old town. In the heated pool you can swim and look up to daylight from the atrium above. 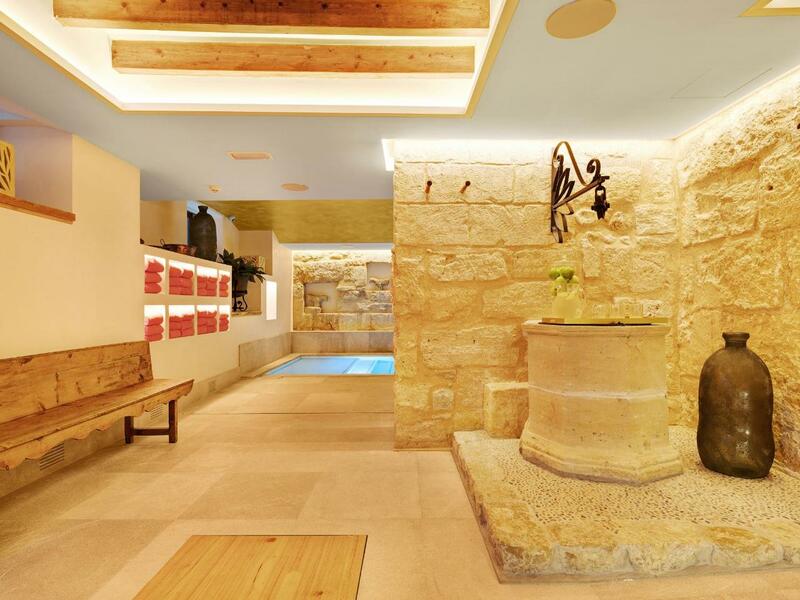 The sauna built with walls of glass creates a spacious experience and the treament room ,which was formerly the stable, has tastefully retained original details like the uneven floor and the horse ties. The owners’ love affair with the building and their determination to preserve it´s integrity at any cost. 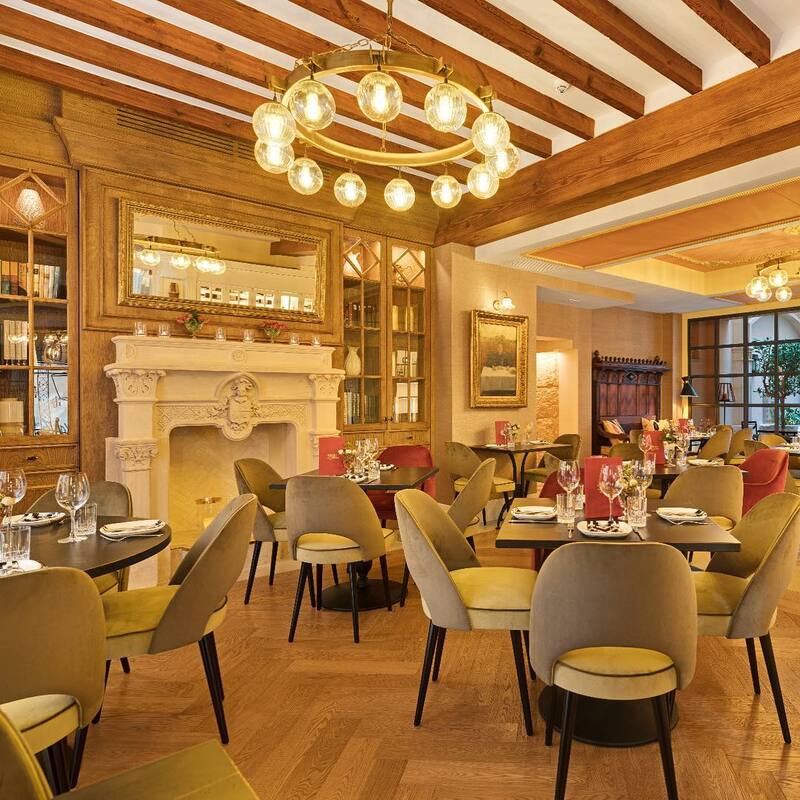 Floor tiles made to match the originals, ceiling frescos repositioned as pieces of art, a solid stone fireplace moved from the fourth to the ground floor painstaking cleaned and now warming restaurant diners in the winter. Wooden doors were renovated by craftsmen and replica light switches from the 1920´s made to ensure you too enjoy the feel of the original decor. This is a quality finish like no other. A homage to history. A labour of love. A buffet breakfast or á la carte is served in the Patio Restaurant between 08.00 am and 11.00am. The price is €20 per person (or you may have chosen to include in your room rate). The Patio Restaurant is then open for lunch and and snacks as well as dinner.